Maybe I should retire here! Headed-up recently into Argyll…yet again! A previous post was about a long weekend break when we could explore the side roads. However this time it was a quick day trip along roads familiar to tourists wanting to see the wonderful scenery. We used the A828 road between Glencoe (of massacre fame) and the Connel Bridge. A few miles south-west of Ballachulish there is a little hamlet called Duror which features in the history of the Stewarts of Appin. If you want to know more about the area, I am assured that the book ‘Kidnapped’ by Robert Louis Stevenson gives all the lowdown on the bloodthirsty history. But this wasn’t the reason for our visit. It was to visit a little Anglican Church, which is so small that it could be missed behind the trees on the road. If you Google Street the phrase ‘Duror Argyll’ you will be right at the spot where the church is. It has a delightful organ which was made in Germany (it is believed) in approximately 1683. 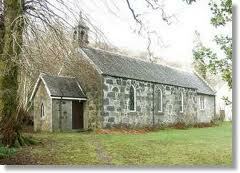 If so, it is probably the oldest church in regular use in Scotland! There is also a belief that perhaps George Frederick Handel had played it, but it is probably impossible to verify it at this distance in time. The present organist, Kerr Jamieson, temptingly suggests that the connection may have more to do with the fact that there is still a working handle to pump the air for the bellows! They have a Community Choir, and with such beautiful countryside no doubt photography and rambling are all part of the life up here. It gets more enticing every day……maybe another long weekend is called-for!